We are thrilled to announce two x 2 day workshops with German felt artist Annette Quentin-Stoll in March. See FI Workshop page for details and some beautiful pictures of Annette’s work. 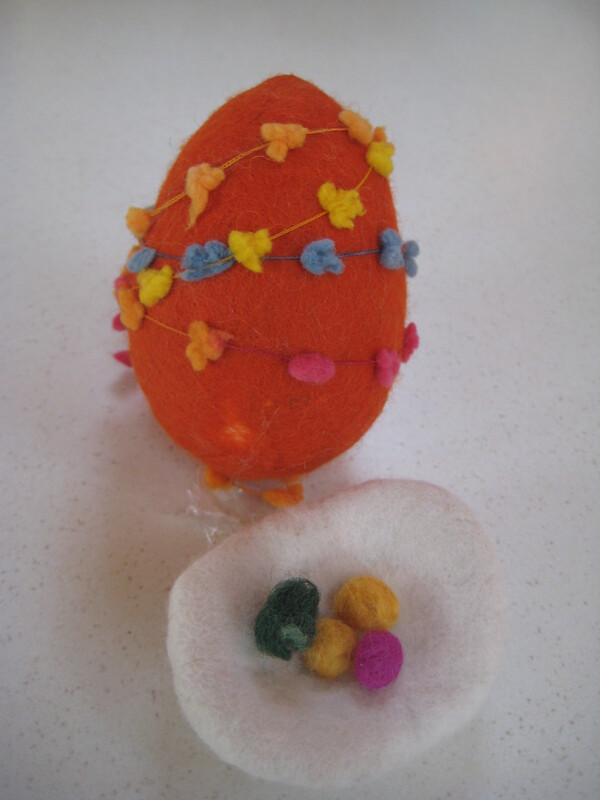 In conjunction with the OPW Feltmakers Ireland are holding an afternoon of fun and easter eggs – of the wooly variety on Easter monday next in the Visitors Centre of the Phoenix Park. The afternoon is designed with youngsters in mind but that doesn’t mean that grown ups can’t have a go as well. We will be making colourful eggs and nests from a variety of beautiful colourful fibre from 3pm in the Courtyard and everyone is welcome.